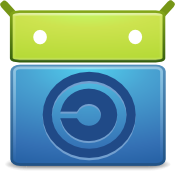 If you always wanted to learn how to include new apps into the F-Droid Free Software app repository for Android, then the first F-Droid Workshop is for you. There the F-Droid developers themselves will show you how to do it. F-Droid is a project that aims to provide Free Software applications for Android via a repository system, much like most of the GNU/Linux distributions distribute packages. This differs very much from the Google Play approach since the client and server side software are respect your freedoms and don’t force you to use a Google account to use them. The workshop is aimed at developers and advanced users – if you know how to use the terminal on a GNU/Linux machine you’re probably good to go. The only requirements for the workshop are basic technical skills, including basic knowledge of the shell and the Git VCS. The event will be split into two parts: First, there will be a presentation explaining the basics about F-Droid and how it works. After that, we’ll head on to the hands-on workshop, where everyone will be welcome to include new apps, update existing ones, improve the client and more! Apart from your Android device, you should also bring a laptop if you have one. It will be easier to participate in the workshop if you have your own computer. For more information, please see the wiki page containing all the information regarding the activities and other details.